Electrocution can be deadly, but when it isn’t, injured victims are left with piles of medical bills, lost time at work, and other financial hardships. But a Boise electrocution attorney can help you get the compensation you need to maintain your financial stability as you recover. Electricity is an important part of your life, but it can cause serious harm if it passes through your body. Completing or touching a closed circuit will send electricity coursing through your body, affecting many vital systems. If you have been in an electrocution accident at home, work, or somewhere else, you deserve to be fully compensated for your suffering if the accident occurred as a result of someone else’s negligence. To avoid the enormous task of filing a claim for compensation by yourself, you’ll want to hire a Boise electrocution lawyer to build you a strong case and negotiate on your behalf. Electrocution cases generally fall under three main categories. These include premises liability, product liability, and construction accidents. In a premises liability case, the owner or manager of the property has failed to take reasonable steps to protect residents, visitors, or hired labor from electrical harm. If the owner knows there’s an exposed wire in an abnormal place, doesn’t tell the hired contractor, and that worker is electrocuted, the victim may have grounds for an electrocution personal injury lawsuit against the owner or management company. Sometimes the danger isn’t the building’s wiring but comes from a faulty product like a toaster or blow dryer. Product liability electrocution cases can cover the parts manufacturers, the assembly company, the shipping companies, and even the main distributors, including the final destination store. Construction and other work-related accidents are often said to be not worth fighting because you have to remain within the bounds of workers compensation laws. However, if any third party was involved, including anyone from the manufacturing and distribution process of either the equipment used or the product being created, you may be able to hold the third party accountable for your excess damages from electrocution. Workers compensation often will not cover all of your medical needs, so determining whether any third parties are at fault is important. This complex line of possible negligent parties in Boise electrocution cases makes determining the cause essential because that will often determine who the at-fault party may be. Once your Boise electrocution injury attorney has determined who was at fault for your accident, he or she will investigate every aspect of the accident scene and interview all the witnesses to begin the process of protecting your financial stability. In a personal injury case, you are able to claim any damages, changes, costs, and losses tied to your injury. Electrocution cases are no different. If you’ve been a victim of an electrocution accident, you may be eligible for compensation. But you’re likely to face resistance from multiple parties when you try to get what you’re owed. 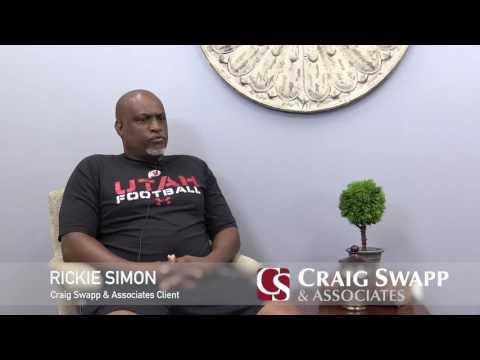 A Boise electrocution lawyer from Craig Swapp & Associates can handle that resistance and raise your chances of getting the compensation you need to recover from your injuries. Call 1-800-404-9000 or fill out our online contact form at the bottom of this page.